We provide our crane, rigging, and heavy hauling services to Virginia, the District of Columbia, and Maryland as well as parts of West Virginia. 22 Ton Hydraulic Truck Cranes up to 300 Ton Conventional Lattice Booms, we have what you need. Our Crane rentals include a NCCCO Certified Crane Operator. All Operators have their DC Class 7 Licenses. 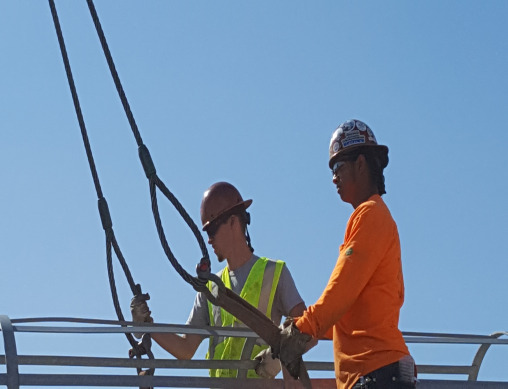 Count on our Union certified riggers and signalers to make any equipment move as smooth as possible. Our professional drivers and our fleet of trucks and trailers are available for any light or heavy hauling within our service area.